Immerse yourself in the world of one of Poland’s most popular cuisines—pierogi. 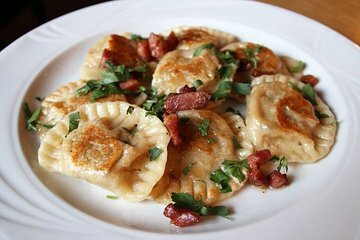 These delicious Polish dumplings are a core part of Polish culture. You’ll save time researching where to eat, as you’ll have a guide to take you to four different eateries, where you’ll try multiple flavors, including both sweet and savory. Get the most out of your time in Gdansk by having a guide to teach you about Polish food, and Gdansk’s history too.